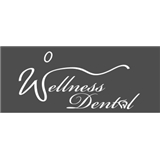 Wellness Dental (Austin) - Book Appointment Online! At Wellness Dental, the staff takes a comprehensive approach to oral health through education and patient participation. We believe that dental health is as vital to ones general health as it is to ones self image, therefore, our vision is to make dental care affordable and accessible. To accommodate our patients, we offer convenient morning, evening and week-end hours, we accept most insurance plans and offer multiple payment plan options. As a valued guest, we strive to make each patient’s experience personable, calm and comfortable.